A refreshing taste of summer whatever the time of year, this smoothie will revitalise and re-energise. Great for people who don’t fancy a heavy breakfast first thing in the morning, this smoothie recipe has been lovingly blended for Creamline by the creative chefs at The Cheshire Cookery School. 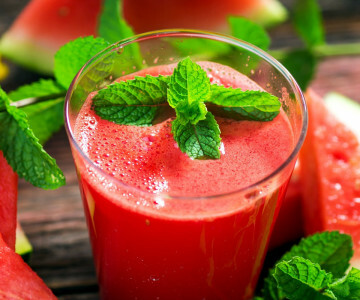 Simply place watermelon chunks, chopped banana, ice and yogurt in a liquidiser. Pour into four large glasses.